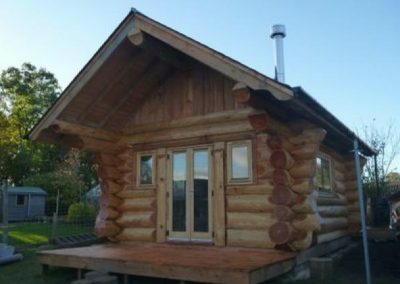 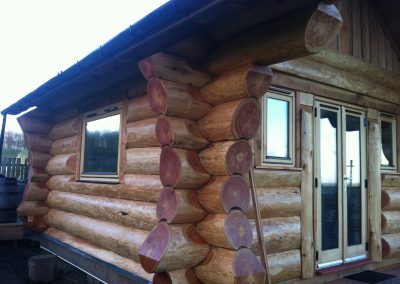 Perfect little builds use exactly the same techniques as with our handcrafted log homes. 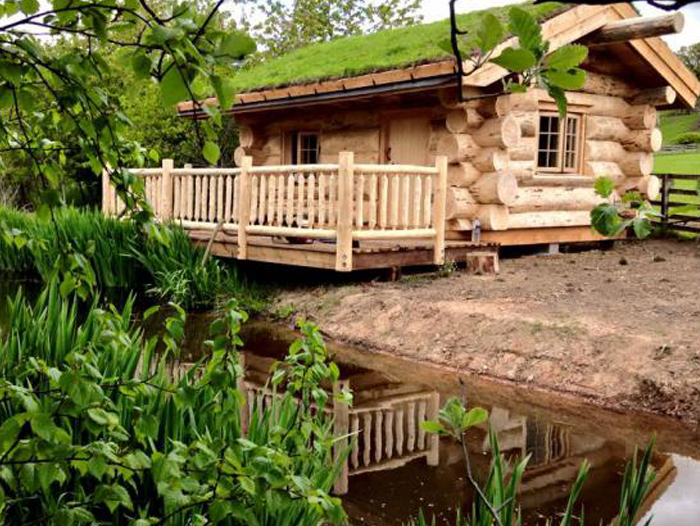 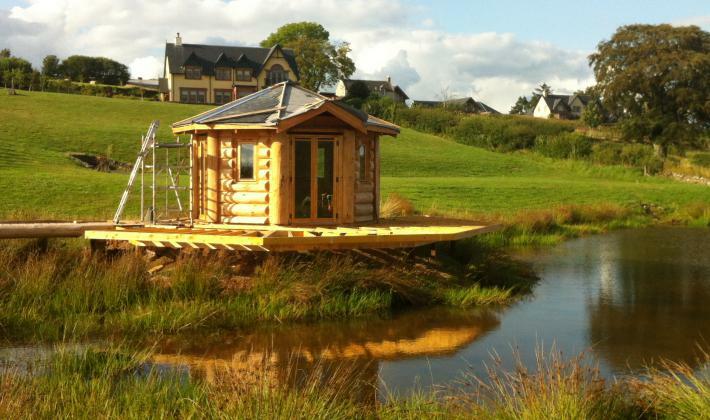 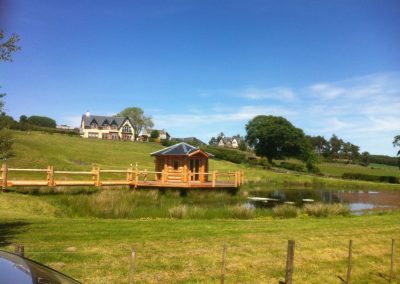 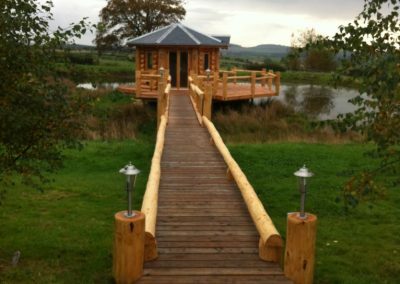 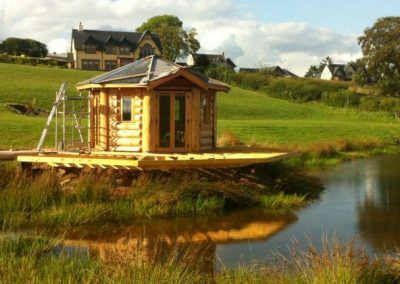 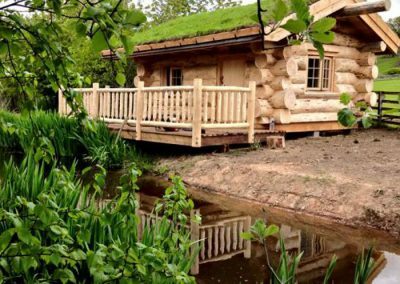 These cabins will enhance your lifestyle and can be built in gardens, beside lakes or ponds, in forests or on the hills. 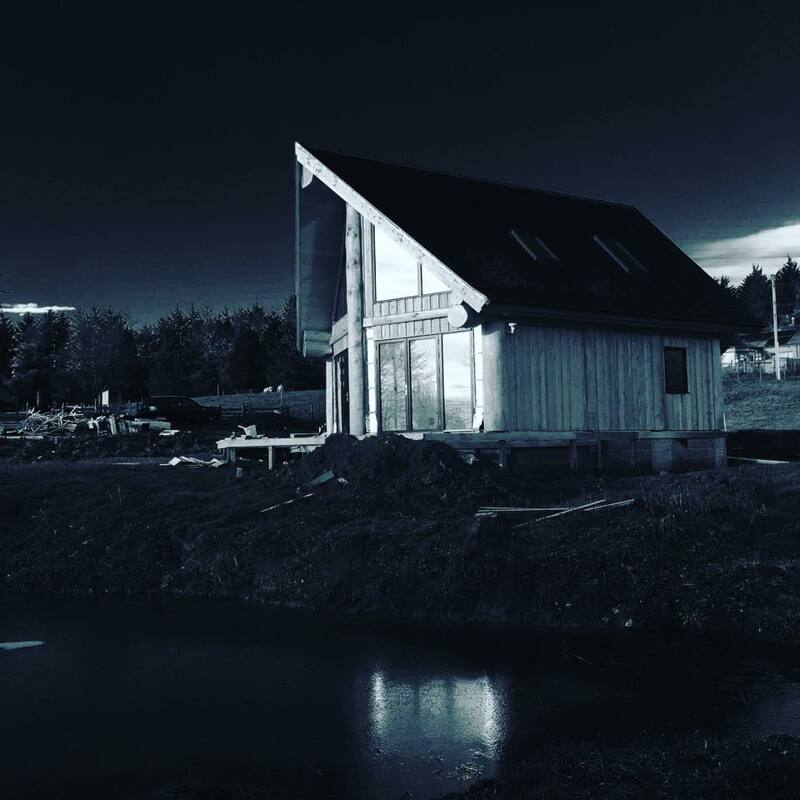 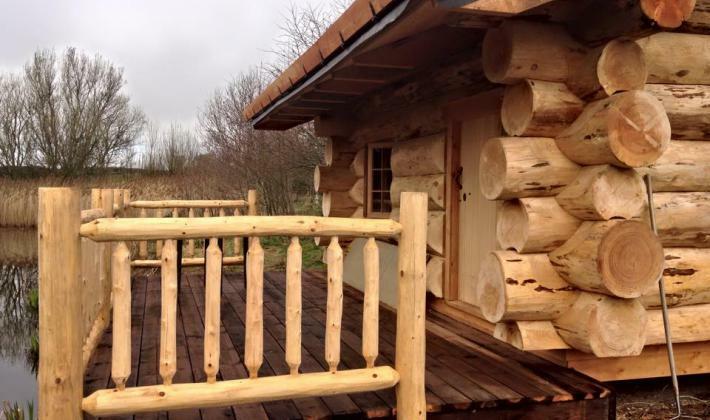 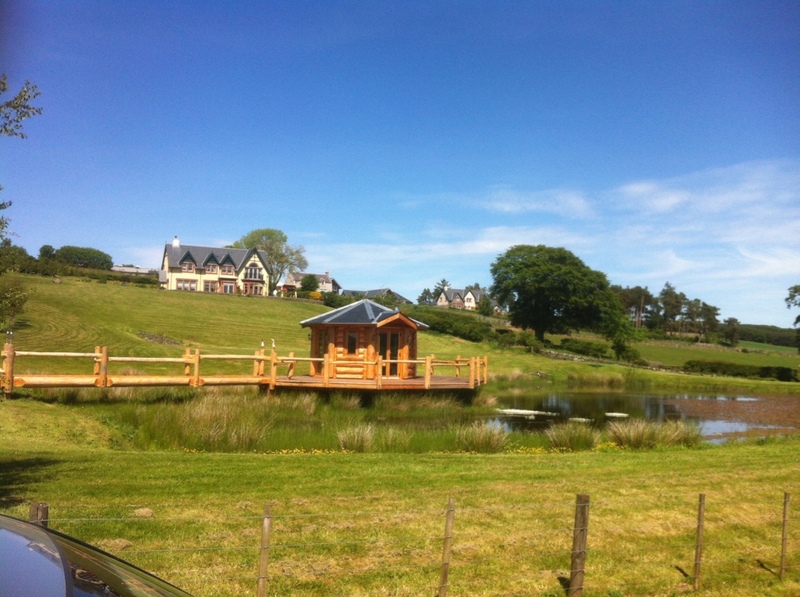 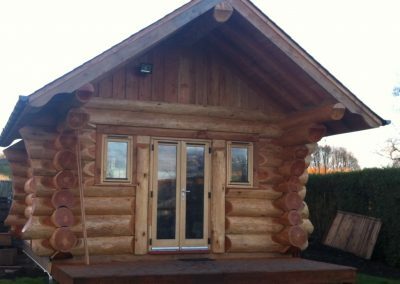 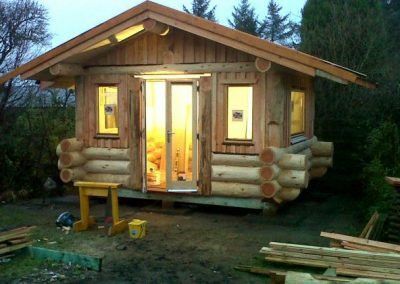 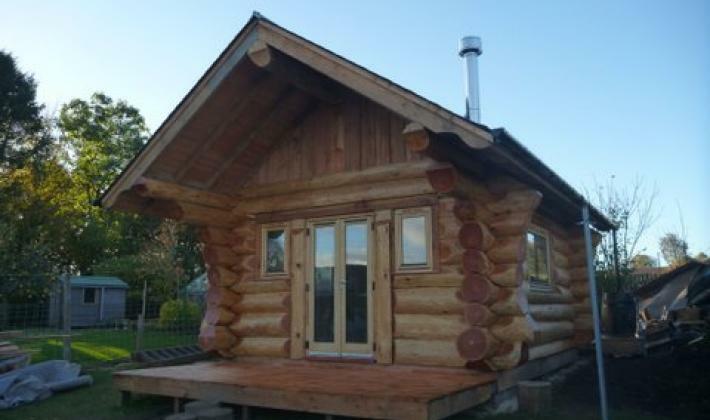 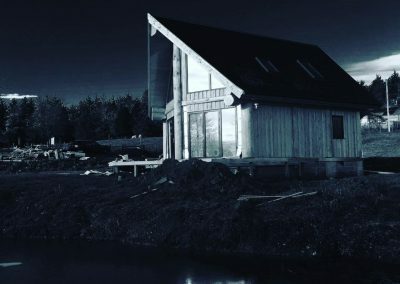 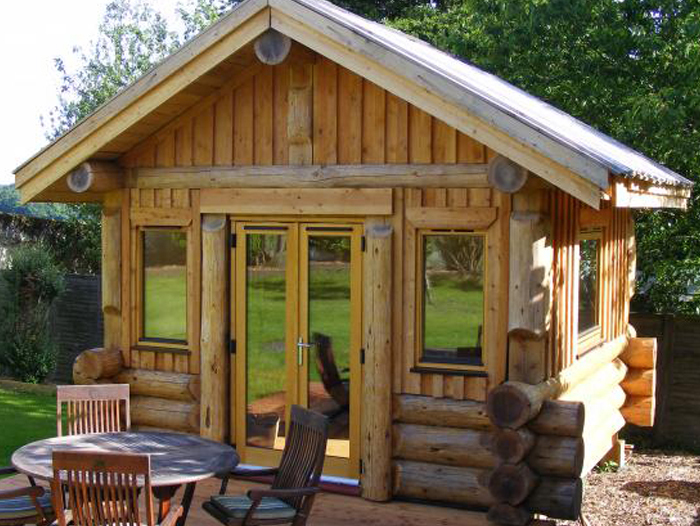 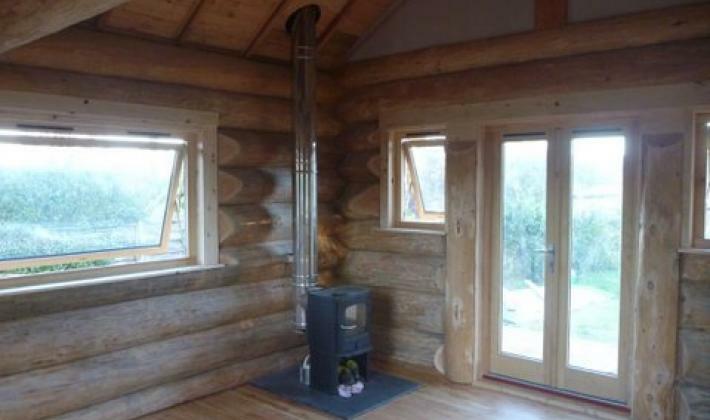 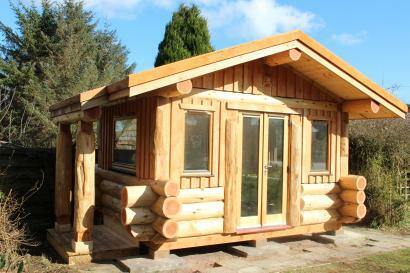 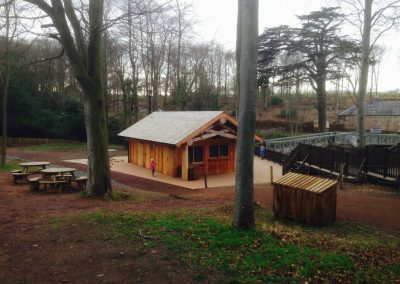 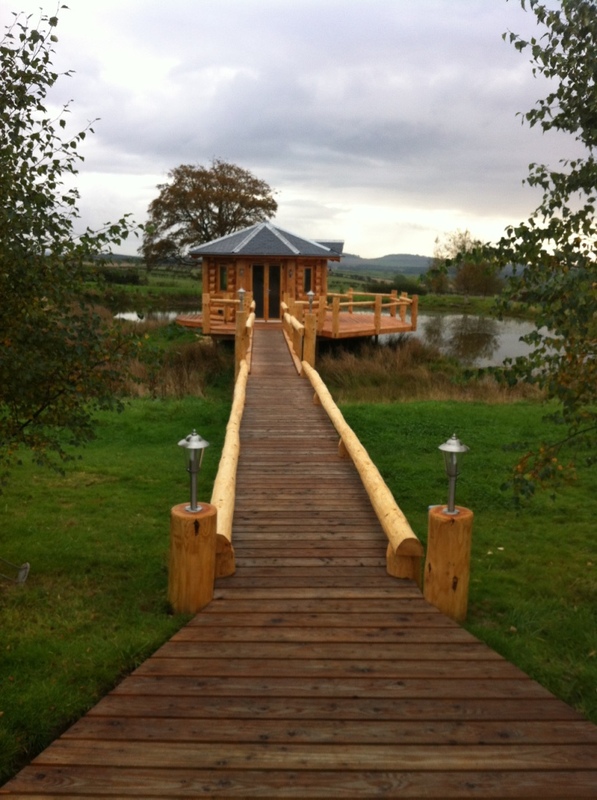 All of our cabins have been unique one off builds where the client is closely involved in the design. 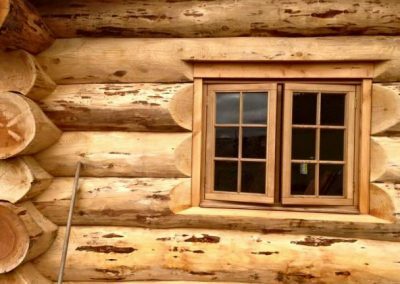 We use timber cut in our yard for exposed rafters, ceiling boards and flooring, we can also have windows and doors specially made for you. 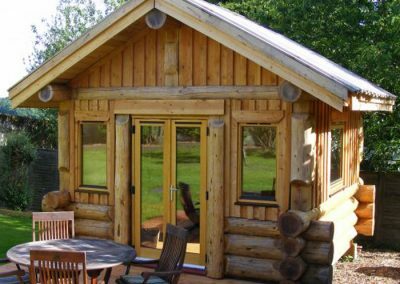 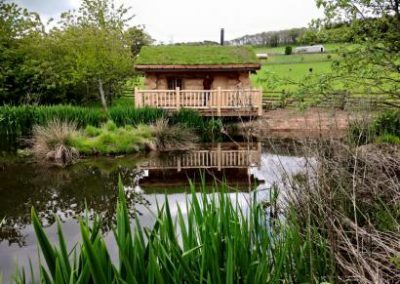 Whether these cabins are for arts and crafts, home offices or as an extra bed room for visitors you will find yourself wanting to move out of the house and into your cabin. 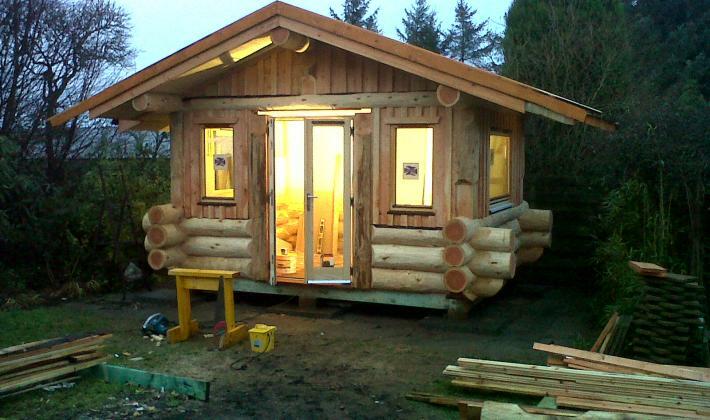 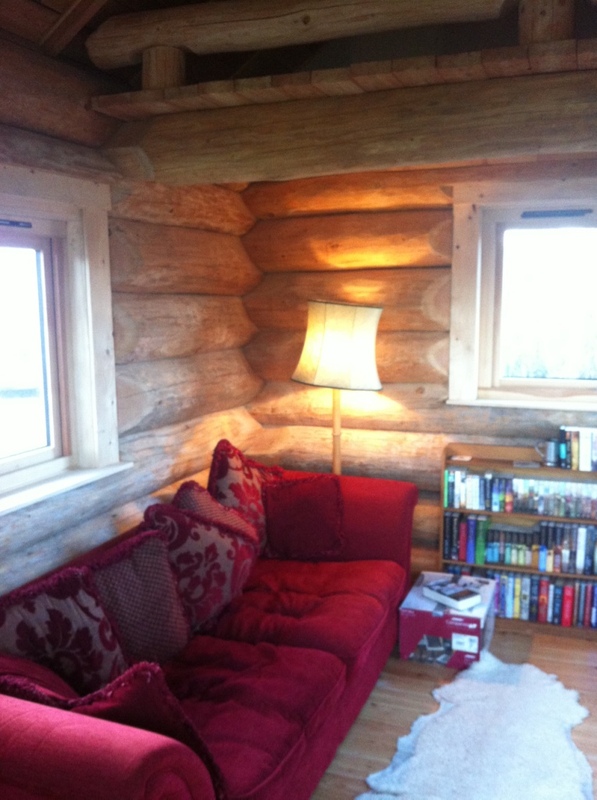 Chris and team have built us a wonderful log cabin. 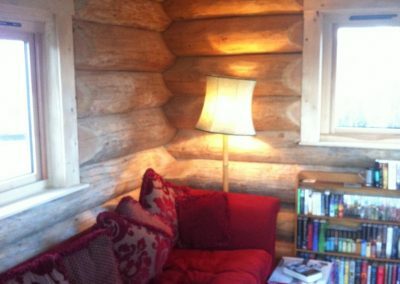 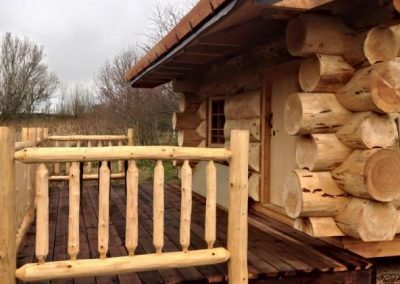 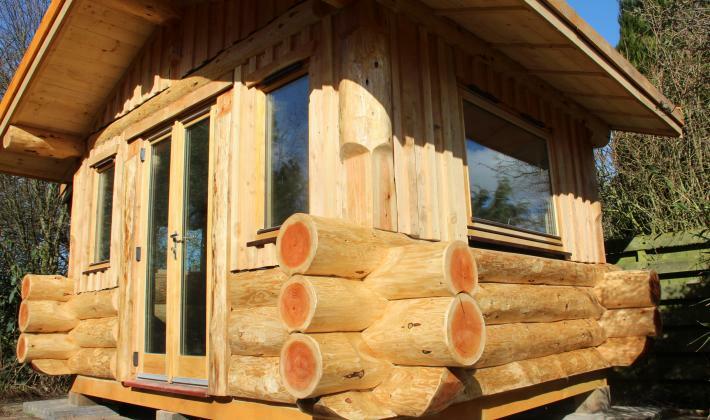 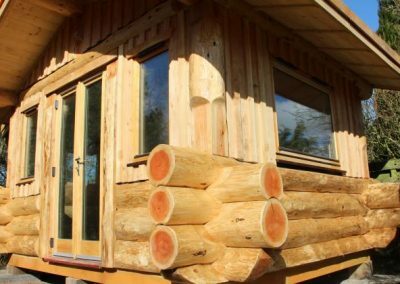 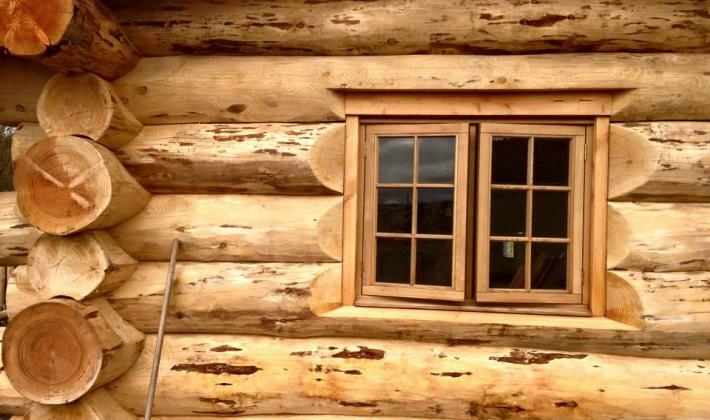 It’s beautifully constructed from logs that are peeled and scribed to fit perfectly together.It’s unique and infinitely better than a commercially available summer house. 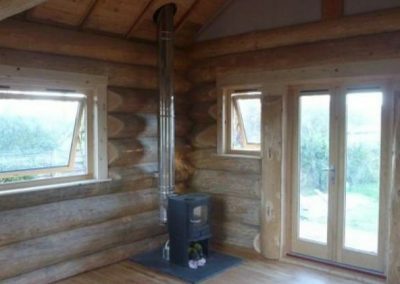 It’s comfortable and well insulated and has had lots of use in a rather wet and cool Scottish summer for meals outside, parties and just watching the world go by.